John B. Wells welcomed Vince Rotonda and Colet Abedi, producers from the new TV series, Unsealed Alien Files, for a discussion on mass UFO sightings, abductions, government cover-ups, and newly released documents on alien visitations. Rotonda said Unsealed differs from other shows on the topic because of its focus on actual government documents released through FOIA. Connections between the files paint a larger picture about what’s really going on, he added. According to Abedi, that these documents acknowledge flying saucer incidents and the existence of Majestic 12 is “legitimate proof that there is something going on bigger than us, bigger than we understand.” Common elements shared by abductees also provide unmistakable evidence that otherworldly occurrences are happening on our planet, Rotonda added. Despite the extreme redaction of documents released through FOIA, the two uncovered evidence for 160 different races of aliens. 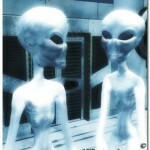 Abedi believes the public could handle the full truth of the reality these extraterrestrial beings. Rotonda shared his own UFO sighting (of a craft that arose from the ocean), and suggested that America’s technological leaps can be credited to recovered alien technology found at Roswell in 1947. He also commented on RAF Bentwaters, location for the alleged December 1980 UFO incident in Rendlesham Forest, as well as the photoshopping of NASA photos. 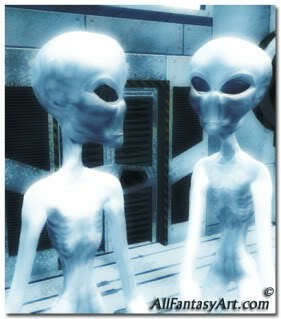 There may be a dealin place between our government and aliens, Abedi proposed.